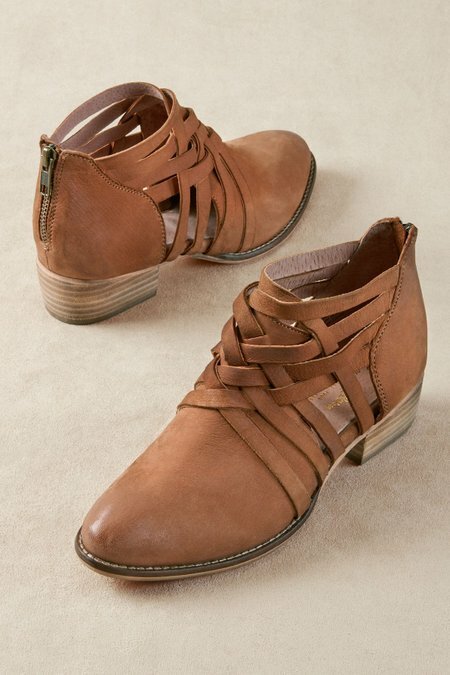 These booties easily move between the seasons with a woven upper and side cut-outs that expose a little skin. Expert Italian craftsmanship shows from the almond toe to the walkable stacked heel and easy-access back zipper. A cushy footbed, leather sock and synthetic sole complete the picture. 1-1/2" heel.